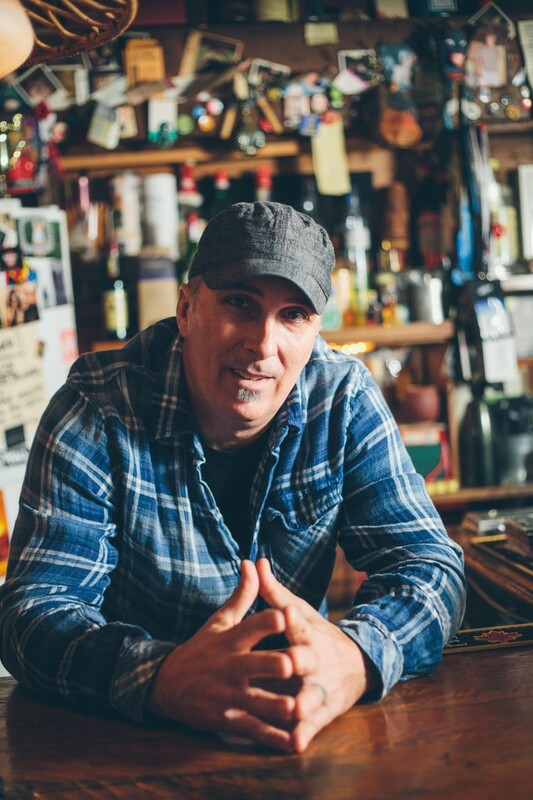 With more than two decades of making music behind him, both as a solo artist and as a part of acclaimed blues trio Hot Toddy, Fredericton native Thom Swift approached the making of his latest record a little differently. The record, The Fortunate Few, was released last year and features some of the best lyrical insight to come from Atlantic Canada in recent times. Known for his sophisticated style of guitar-playing and earthy baritone voice, Thom has always been able to connect with a audiences; The Fortunate Few has further cemented that relationship. Performing at Moncton’s Capitol Theatre this Thursday night, Thom says that instead of spreading out the writing of his newest record over the span of a year or more, Thom set aside a month to focus on writing. He would find a secluded spot just outside his current hometown of Halifax and settle in for the day. Since the release of the record, Thom might as well have adopted “Have songs, will travel” as his motto. A dynamic live performer, he has taken his musical catalogue to audiences across the Maritimes and Central Canada in the 11 months since the album’s release. A personal and professional highlight of Thom’s already storied career came last summer when he had the opportunity to support Rosanne Cash on two of her tour stops here in Atlantic Canada. Rosanne is, of course, the daughter of country music legend Johnny Cash. Thom says the magnitude of who he was performing with on those nights hit him as he was about to take the stage for that first show. This past November, Swift’s hard work and determination to make The Fortunate Few one of the best efforts of his career were rewarded when the album won the Music Nova Scotia Award for Blues Recording of the Year. His latest award adds to an already impressive tally of four other Music Nova Scotia Awards, three East Coast Music Awards and two Canadian Maple Blues Awards. In addition to capably steering his own career, Thom has branched out in the last two years, writing songs with other artists. After having co-written a track on The Fortunate Few with acclaimed East Coast songwriter Dave Gunning, one of Thom’s most recent co-writes comes in the form of “Let’s Go To Bed”, a song on Weightless, the newest record from New Brunswick’s Matt Andersen. While the experience of working with Andersen was not new to him (Thom has played in Andersen’s band for the past few years), Thom says that Andersen inadvertently helped open his eyes to the world of working with a producer. “It was a really great experience to hang out in the recording studio and see a world-class producer in action,” Thom says, referring toWeightless producer (and Los Lobos member) Steve Berlin. “For a long time, I thought that I didn’t need to have a producer involved with my records. I felt reasonably confident about being able to do my own thing. But bringing a guy like Steve into the making of a project just stands to make it that much better in the end. When: Thursday, Feb. 20, 7:30 p.m.